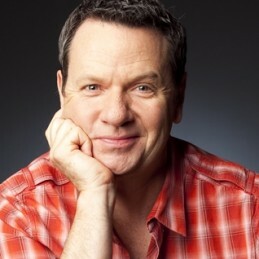 Marty Fields is a versatile, widely experienced comedian and presenter – a valuable asset to any event. His excellent work ethic, commitment to quality and service – combined with his high profile generated by extensive television and radio work – (Marty is a talkback presenter on Melbourne’s 3AW)- make Marty a smart choice for your next corporate gathering. His host/MC and interview skills are second to none. He is experienced, meticulous and entertaining. He began his corporate stand-up career in 1985 and was recently nominated for a Mo Award as the best stand-up comedian in the country, in 2005 he was inducted into the Australian Comedy Hall Of Fame. His ability to tailor his act content to suit all types of audiences and tastes without sacrificing laughs, sets Marty apart as one of the premier corporate comedians in Australia. An accomplished pianist and songwriter, Marty has produced specialized songs, jingles and music for events, as well as being able to add piano/vocal comedy to his standup performances. As a Host/MC Marty combines his award winning humour with a finely tuned sense of propriety and occasion. His attention to detail, charisma and long involvement in prestigious corporate events makes Marty one of the most sought after MCs in the country. He’s hosted successful and diverse functions, award nights and roadshows for most major corporations, both in Australia and overseas, including Caltex, Microsoft, Nestle, Coca Cola, The PGA Tour, Cadbury, Beaurepaires. Marty also possesses unique auctioning skills, having been the host of the weekly auction television program, ‘Bid On TV’ for the Nine Network. Marty can combine roles as both your occasion’s MC as well as providing a separate and distinctive comedy spot during the event. His ability to seamlessly move from comedy to straight presenting and back again while preserving the tone of the event and integrity of a client’s brief and is unusual and refreshing.